Ships tomorrow if you order in the next 19 hours 36 minutes. 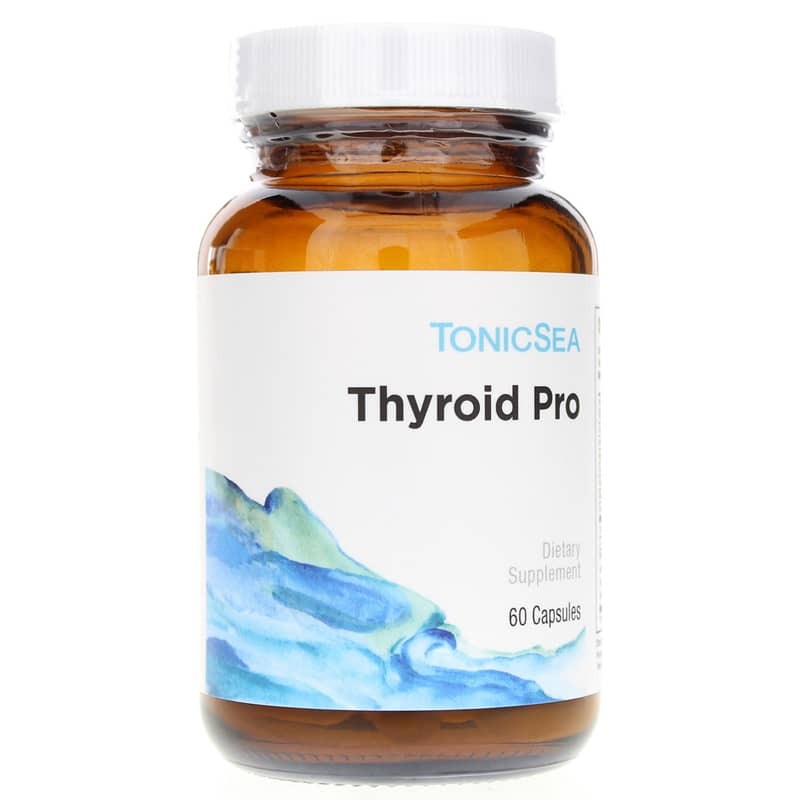 Thyroid Pro from TonicSea contains a synergistic blend of key thyroid support nutrients, including vitamins, minerals, L-tyrosine, Irish moss, glandulars and herbs. The thyroid regulates metabolism, including heart rate, temperature, weight, appetite and much more. Imbalance can cause problems related to these functions. As a dietary supplement to support thyroid health naturally, adults may take one capsule daily, or as directed by a healthcare professional. Other Ingredients: rice protein, silicon dioxide, capsule (hypromellose, purified water). Contains NO: corn, wheat, milk, egg, sugar, starch, artificial flavors, colors or preservatives. Adults: Take one capsule daily or as recommended by a healthcare professional. Very efficient and prices are comparable. I tried a couple of medical prescriptions and was unable to take them since I got a red rash on my face. 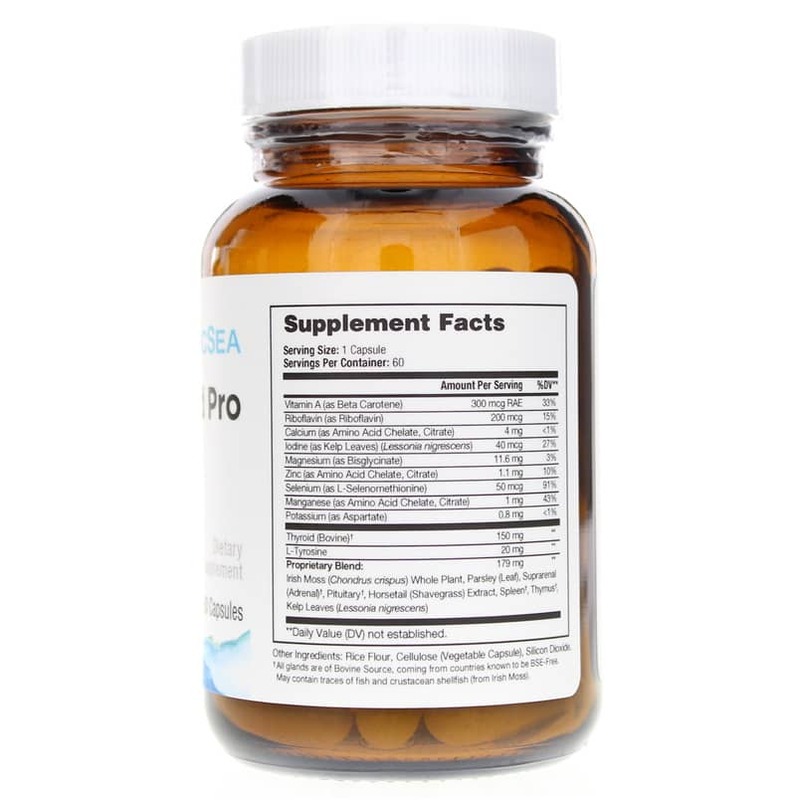 I tried Thyroid Pro and it works great! This works very well for my thyroid. Great company to buy from, fast delivery, easy to order. This is my second time to order from them. Will order again! 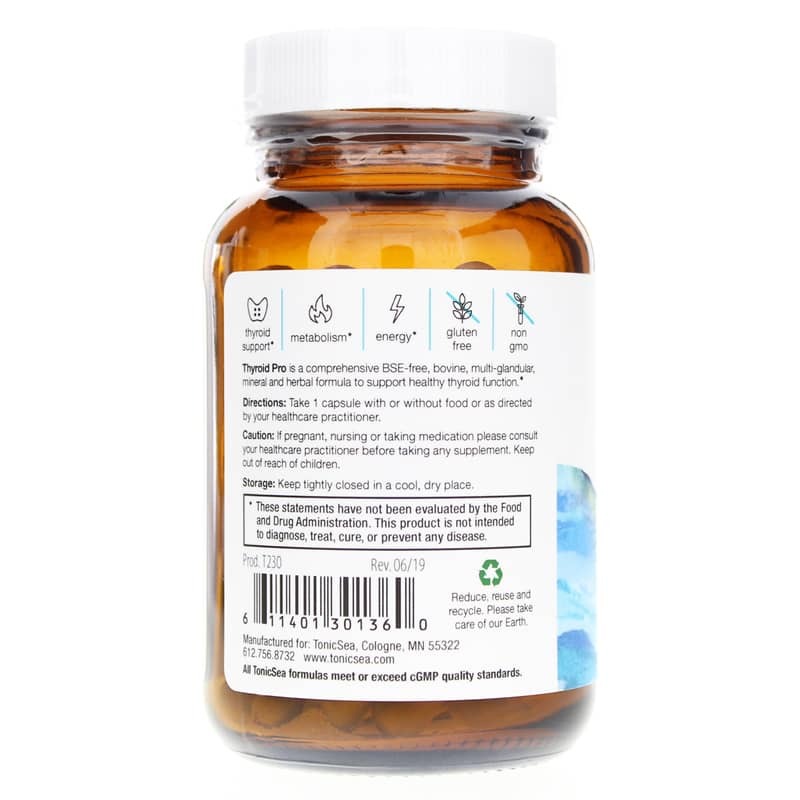 We have been using this for about two years, my husband and I, and it has brought our low thyroid levels to normal levels. Love this product! I plateaued in my weight loss and was excercising daily and eating healthy, with intermittent fasting. My Chiro said my thyroid is off- recommended this product and finally went down 2 pounds this week. I notice more than just weight loss- I'm warmer (usually freezing) and I am sleeping much better. Overall, just feel better. The only thing that took a while- was shipping- it took almost 2 weeks to receive, which may have been due to the snow! Don't order the cheaper products- highly recommend this. Great company too! They Always add a little handwritten thank you on my receipt and that goes a long way!